Trestles | Oyster Bar HAPPY HOUR! Trestles Oyster bar and happy hour come together for a great time! 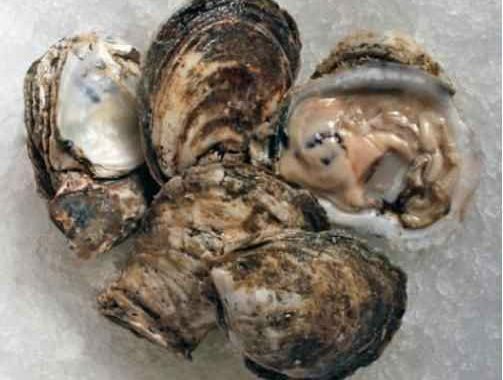 Our Blue Point Oysters are only $1.50 each or try our Fanny Bay and Kumamoto Oysters only $2 each. My new favorite restaurant. From the atmosphere to the staff, food, dessert and everything in between it was fabulous. Can’t wait to go back! Being new to the Castle Rock area, we had been told that it was hard to find good seafood. If you are looking for excellent seafood, look no further! EVERYTHING we had here was amazing! We cannot wait to go back! It was the best meal we've had in Castle Rock and we are foodies!!! Love the waitress and owner who is very personable! Loved the ahi tuna!! Thank you for giving us the opportunity to have a very nice restaurant with great, smiley and attentive waiters and waitresses and the food is so good, nice quality and delicate tastes. I am French from Paris and honestly it is one of the best restaurant I have been to ,... read more taste wise!!!! They need to improve on the noise but they are working on it.. give them time. Came in for a lunch meeting with a client. Waitstaff was attentive but not disruptive. The food was amazing. I had the lobster roll with greens and I would suggest it. I'd probably get chips next time. Definitely stop in if you have the opportunity. No WAY is this upscale sophisticated restaurant only a 4.5 star (BUT extremely casual too) 10 star is more accurate. 52 anniversary 9-24-18. Could not have been in a more beautiful establishment t than Trestles to celebrate. The oysters (we enjoyed plenty) the scallops the salmon tacos the wine 100 star delicious tasty fresh chef plated. Brittany was warm attended to each detail with hi service class.